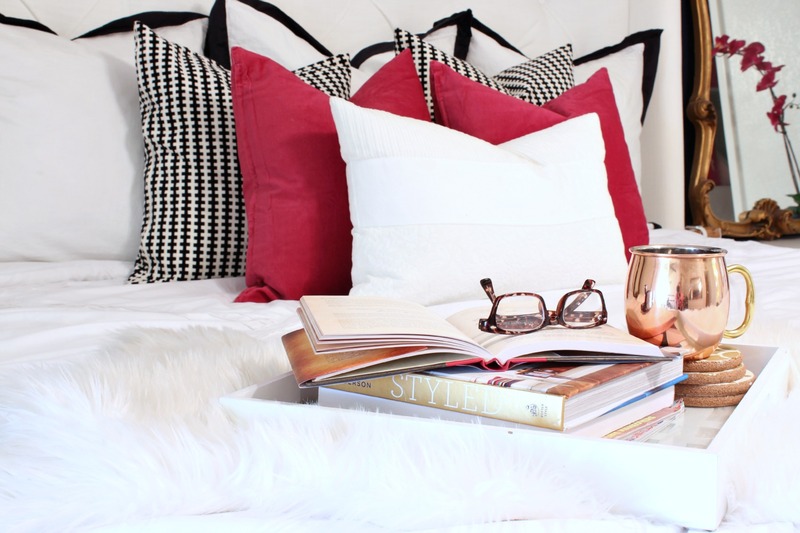 It’s finally time to show you my Master Bedroom makeover. I’ve worked on this room for the past seven months, off and on trying to figure out exactly what I want to do with it. I finally got my act together and I am in love with the turn out. I had a decorative design on this back wall then I totally changed my mind and painted it a rich navy. The paint color is Sherwin Williams Naval. I love the color and I love how the gold just pops off of the navy. 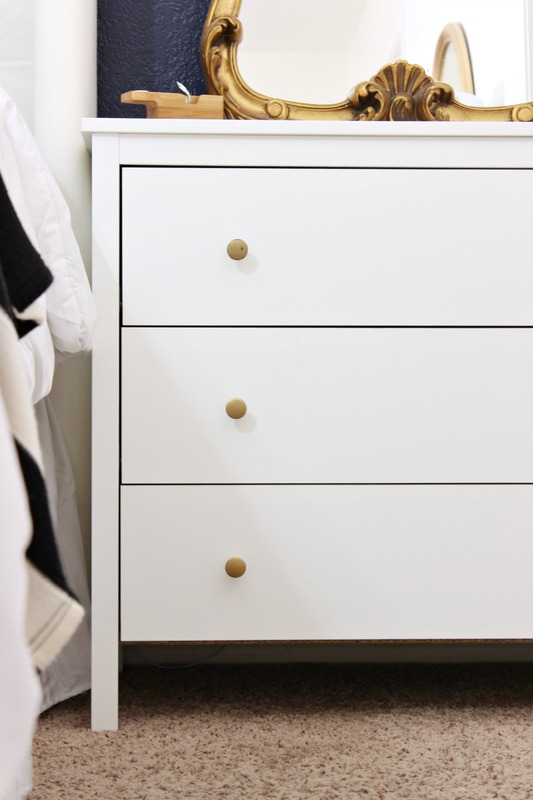 My nightstands, vanity desk and dresser all came from Ikea. I built the massive headboard and it’s one of my favorite parts of the Master Bedroom. I really like it against the navy wall. 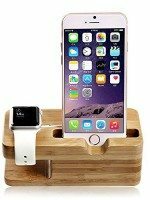 On my side table, I keep this little charging dock near my bed for my iPhone and Apple Watch. This dock is amazing! I’m obsessed with it and you can snag one here. 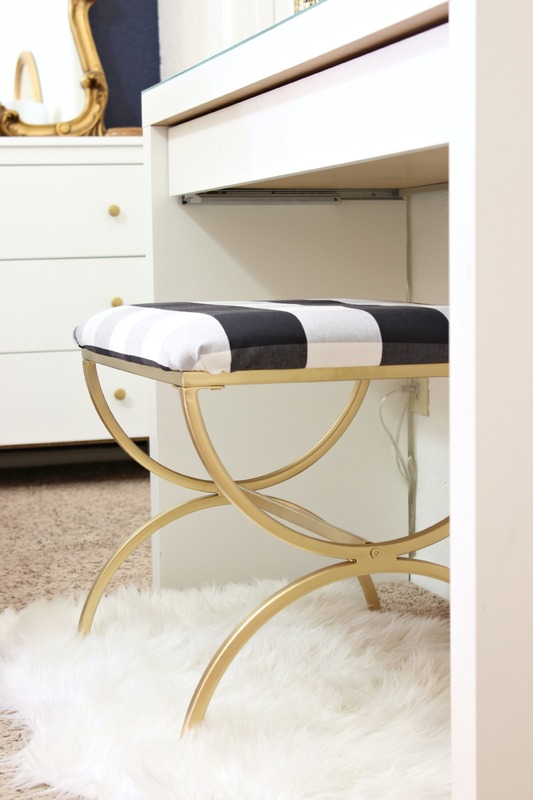 I did a mini makeover on the vanity desk and the added some paint and fabric to the buffalo check stool. I’ll share the tutorial for both soon! 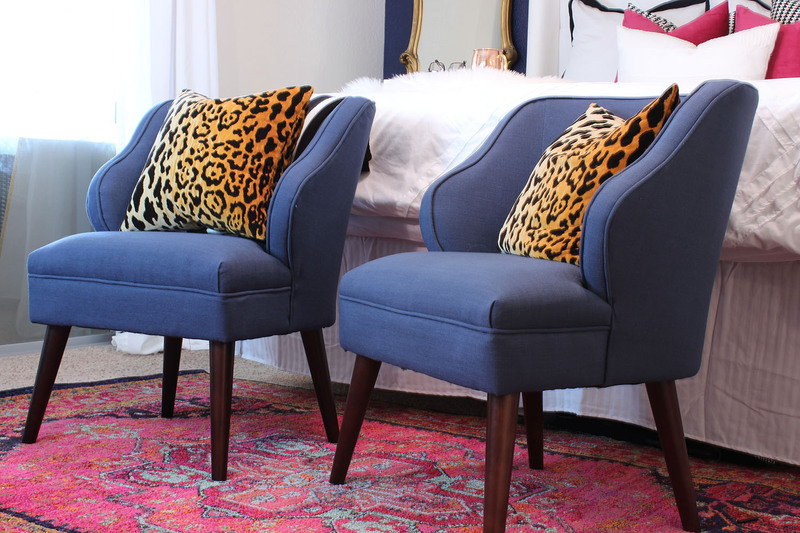 I got these chairs at Target on clearance and the leopard velvet pillows are from Willa Skye Home on Etsy. 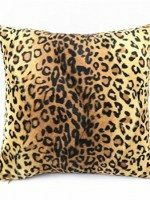 They are the perfect touch to add to my Master Bedroom. 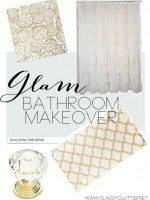 Here’s a little peek into my bathroom makeover. Did you catch that makeover over the summer? See it here if you missed it. The large Euro Pillows came from Crane and Canopy and the 5 throw pillows in the front are all from Ikea. I made this Hello Love sign out of some plywood, 1x4s, paint, stain and the lettering is in vinyl. I did that so if I get bored and want a change, I can peel it off and redo it without remaking the whole sign. You can purchase the vinyl decal on my Etsy Shop here. 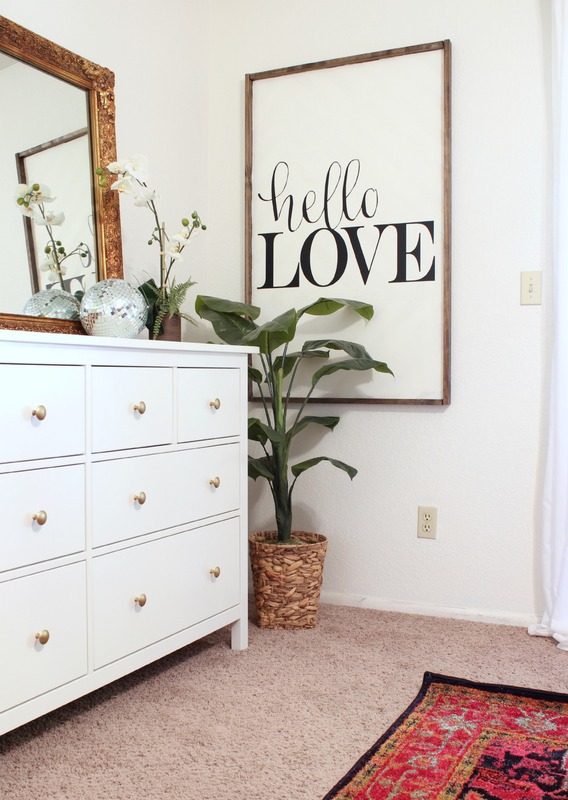 I’m pleased to introduce you to the other love my life, after my hubby and kiddos, THIS RUG! I am so in love with it. 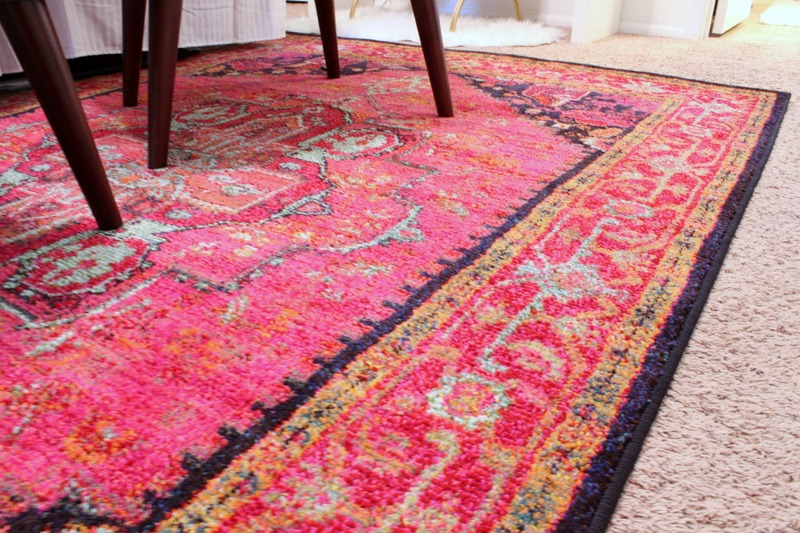 It’s traditional yet modern and bright and fun and literally has ALL of my favorite colors in it. Pink, Navy, Mint and Gold. WHAT!? I know. Who knew such a thing existed? It’s from RugsUSA and it’s my favorite! 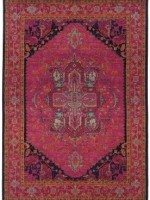 The name of the rug is Oriental Weavers Kaleidoscope 1332S if you’re interested. 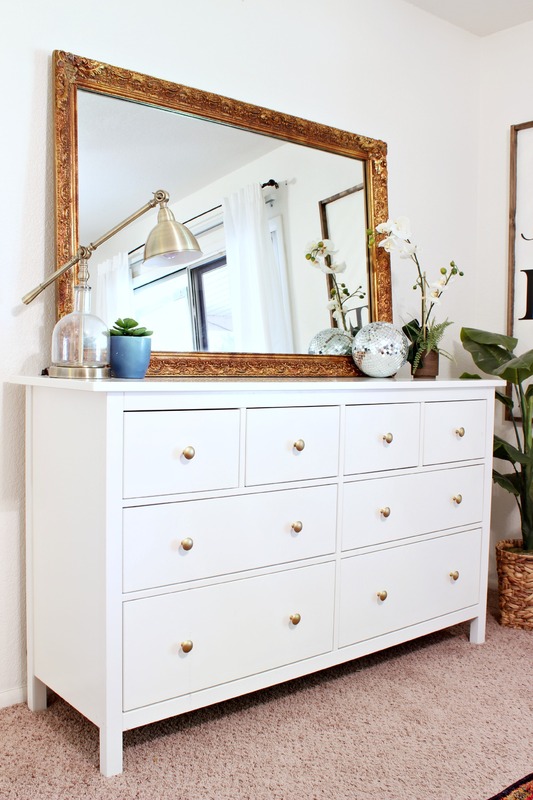 I got this dresser at Ikea and the gorgeous mirror is an antique from Craigslist. Before we wrap up my Master Bedroom makeover, I want to clue you in on the amazing mattress hiding beneath my bedding. I call it a healing mattress, because well, it is. I want to be 100% transparent with you. This is a somewhat sponsored post in that intelliBED provided me with this mattress to try out but I’m giving you my honest and life changing experience with the product. Real chat, okay? Over the summer, I got the intelliBED mattress for my Master Bedroom and this single item has changed my life for the better. Now, I don’t say that lightly. Before I got my intelliBED, I was suffering with terrible hip pain from my 10+ years as a competitive gymnast. I have since birthed 4 kiddos and my hips have really not held up well to all of the changes my body has gone through. They’d ache like crazy every time I got out of bed or if I sat or laid in any position for too long. Since I’ve been sleeping on my intelliBED mattress, my hip paint has drastically decreased. I only have paint if I’ve fallen asleep on the couch or sat for too long at an event or something. I have no pain whatsoever when I wake up after sleeping on my bed. My husband has also had major sciatic issues for the past 5 years and since we have had our intelliBED, he’s only had one time when his sciatic pain has flared up and it was when he was on vacation (not sleeping on the mattress) and he was wake boarding. I blame both reasons for his flare up. How is this even possible? I asked the same thing and was super skeptical at first. 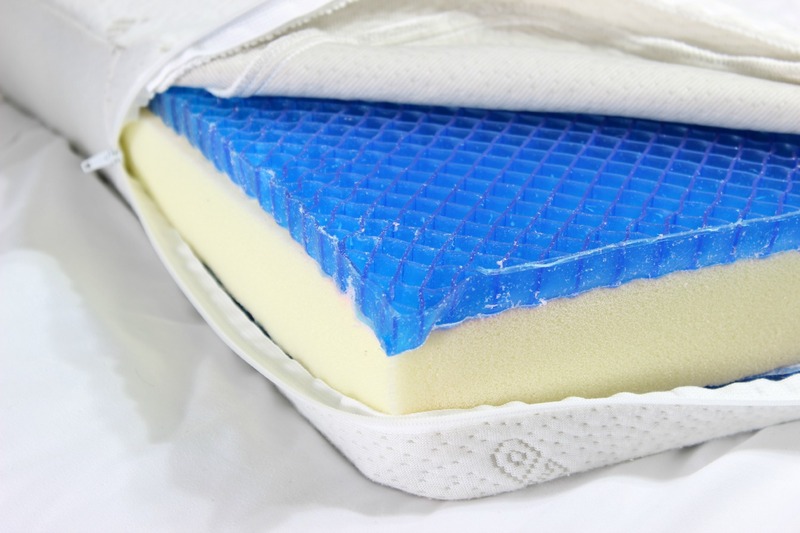 The image above shows a traditional foam mattress and the image below is with the medical-grade intelli-Gel. It’s pretty obvious why my husband and I have both had dramatic changes in our bodies from our new mattress. Take a look inside at the super soft gel that supports you. This is my intelliPILLOW but it has the same gel. It’s so squishy but super supportive. This gel never breaks down and is warrantied for 30 years! Isn’t that awesome! It makes it much easier to invest in your health when you know it will last 30 years. 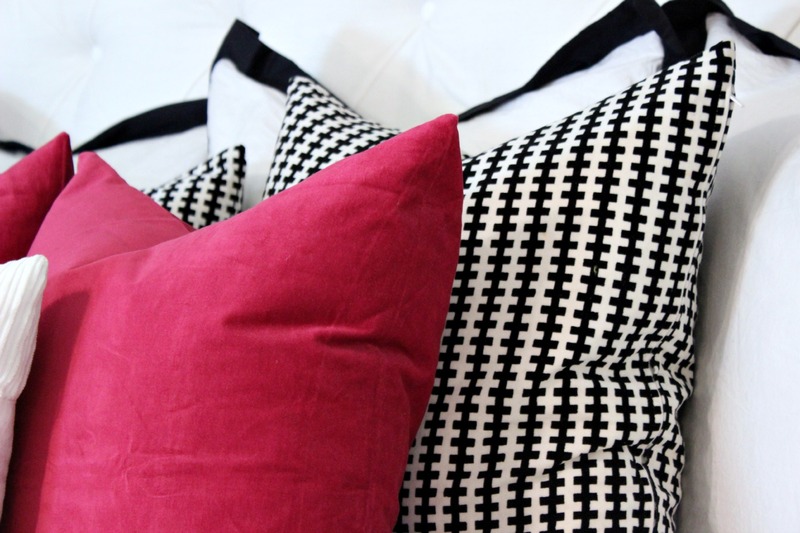 You know what makes it even easier to invest in your new bed? 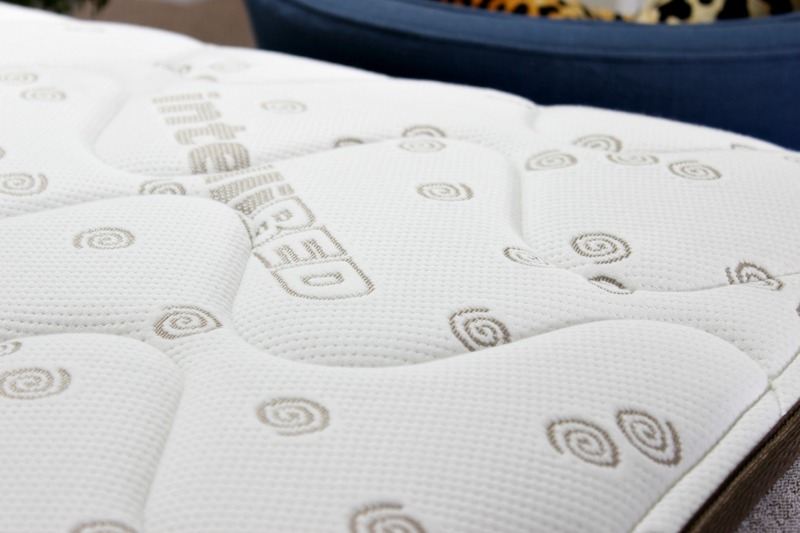 We worked out a deal with intelliBED to get you a sweet deal on your new mattress! From now until 5/31/2016, when you purchase a mattress you will get a 10% discount + 2 intelliPILLOWS + Bamboo sheets valid until 01/03, only valid on Queen or larger therapeutic models, not valid with the Value bed using our promo code CLASSYCLUTTER at checkout. If you’re interested and 5/31/2016 has already passed, we’ve still got a deal for you. 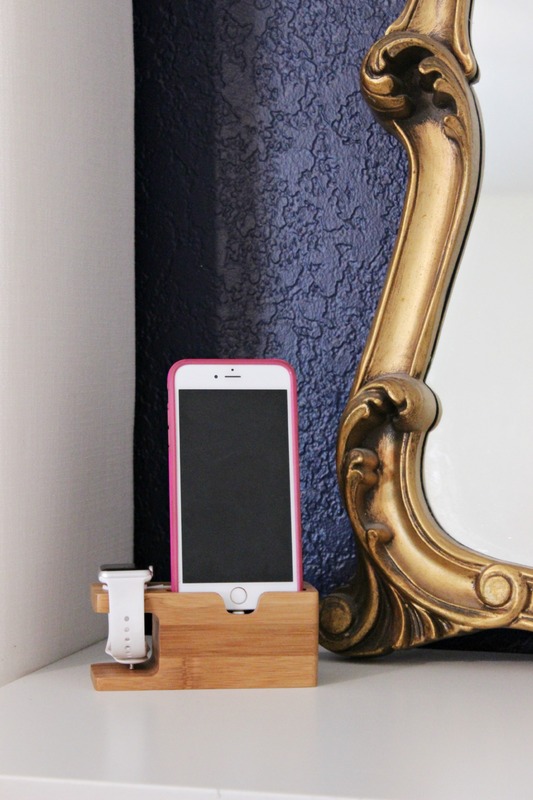 With the promo code CLASSYCLUTTER at checkout, you can still get 10% off! Yahoo!! That’s it! 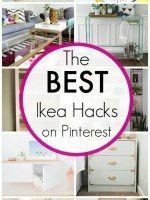 Pretty soon I’ll break down the project tutorials for you but for now, pin your favorite picture to your Pinterest board! Are you following us on Pinterest? Click here to follow us! WOW! Your bedroom is really amazing. 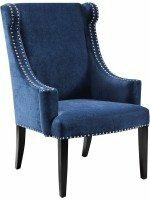 I love the chairs at the end of your bed. 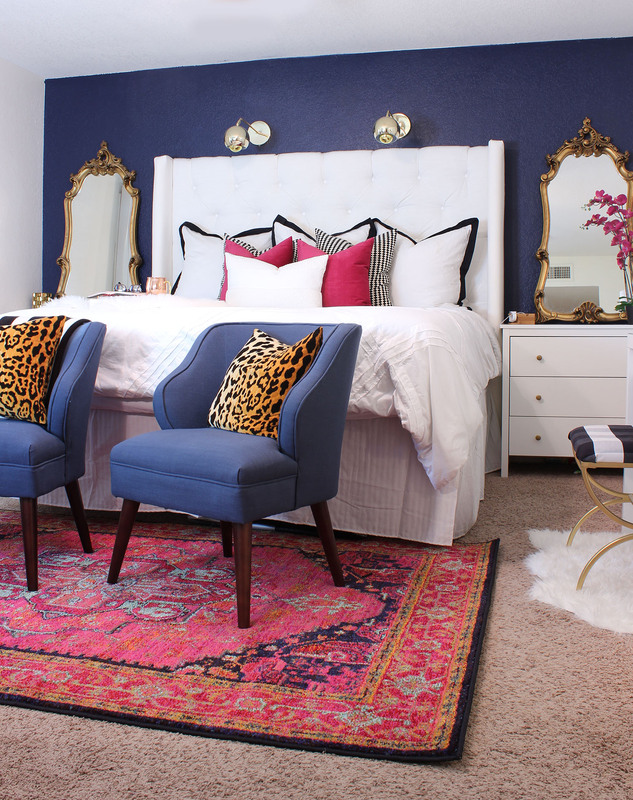 I love the colors of this bedroom! 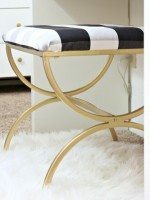 The gold brings a nice feminine flare to the room. I also love the bathroom wall, and I love how it pops next to the bedroom colors. Just gorgeous! Aren’t they just the cutest! Glad you enjoyed the post! Thanks for stopping by! Wow! Its reallly amazing ! The mattress is also amazing. This really is the centrepiece of any bedroom – a quality and well-kept mattress. Absolutely gorgeous space- Beautiful job!!! I love the hello LOVE piece you made. Mind sharing what fonts your used? GORGEOUS room! Thanks for the inspiration! The blue wall, I love. Is it just a basic white on all the other walls? Thank you! Yes, the other walls are just basic white! 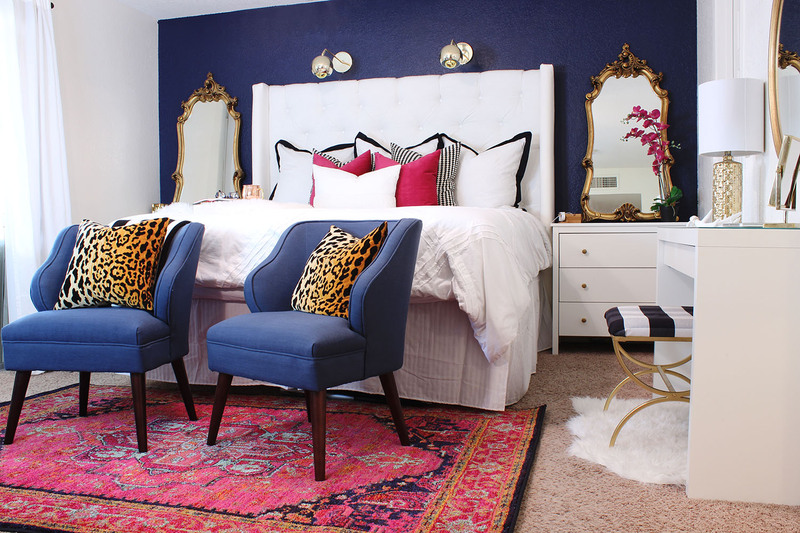 I loved that look because I really wanted the Blue to stand out and I wanted the room to have a clean finish! I love your makeovers!! The navy wall in your bedroom is beautiful!! Thanks for sharing. I got interested in reading about your new mattress. Thought you might want to change out paint for pain in two consecutive sentences! You and your husband had paint! Reading quickly I’d skip over it but I was taking in every word!! Thanks again for sharing!! I ordered 2 chargers!!!! Thanks for catching that Cathy! 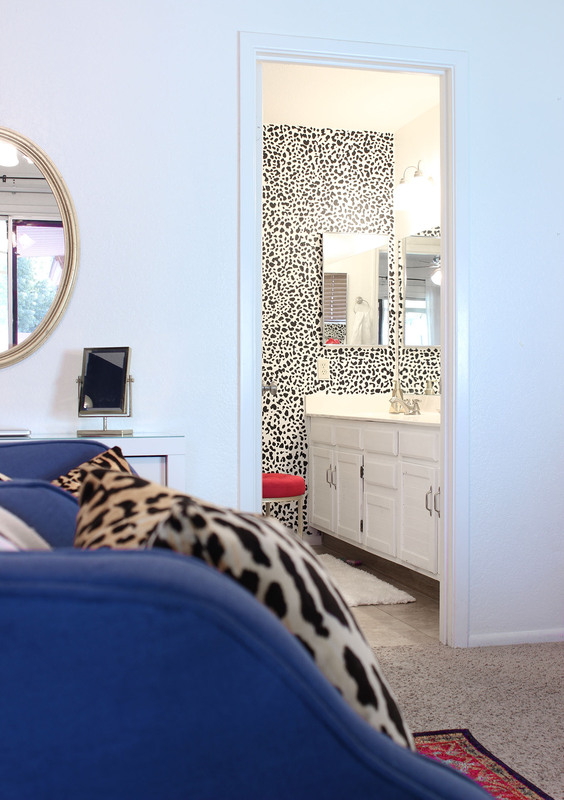 Hello, would you mind sharing where you purchased the mirrors above your nightstands? Hello you have amazing style but I wasn’t wondering where you got your comforter/duvet from? Trying to find something just like it! Please email me for info on where you got it!! Love love love this room! I’m trying to do this in my guest bedroom I love it so much! Would you mind telling me what size you got I’m the crane and canopy pillows? Great job! 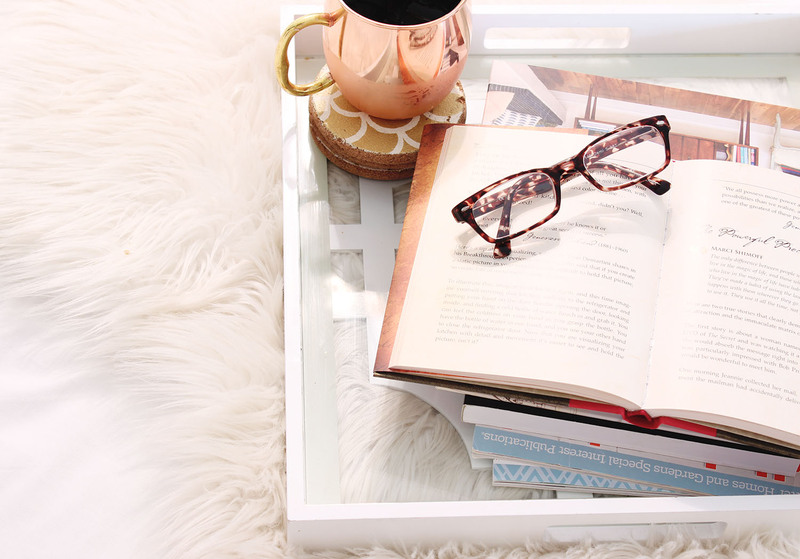 Could you please let me know where your night stand/end tables are from. Thank you!! I like the design of the blanket and mattress as well as the various choices of the model and the color. Thanks for sharing excellent informations. Your web-site is so cool. I am impressed by the details that you’ve on this blog. It reveals how nicely you perceive this subject. Bookmarked this website page, will come back for extra articles. You, my pal, ROCK! I found simply the info I already searched everywhere and simply couldn’t come across. What a perfect site. I stumbled upon your page by chance and I found this amazing makeover – just wow! 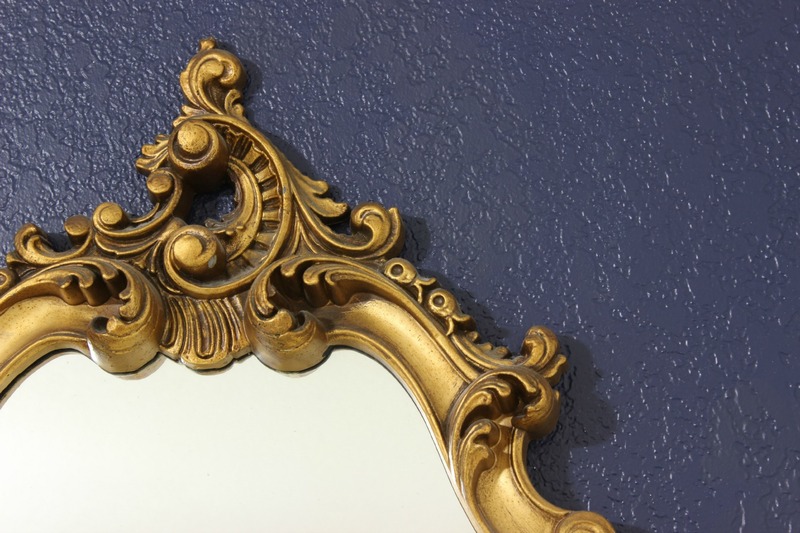 People before commented an all i would also highlight (colour, bedside mirrors, armchairs) but I am also very moved by the huge mirror upon your dresser – did you measure it before buying so that it would fit? What is its size? 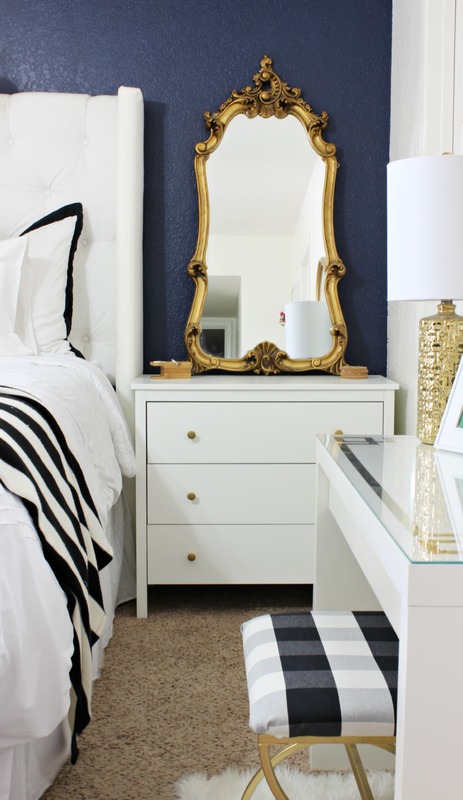 Because it looks very nice to that dresser, and I am worried if the smaller mirror would also look that nice. keep up the gorgeous work!